Composed by Traditional tune. 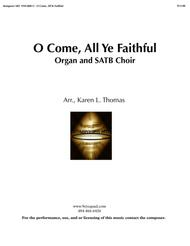 Arranged by Dr. Karen L. Thomas (Komposer MD). 21st Century, Sacred, Christmas. Score. 8 pages. Published by Komposer MD (S0.38951). 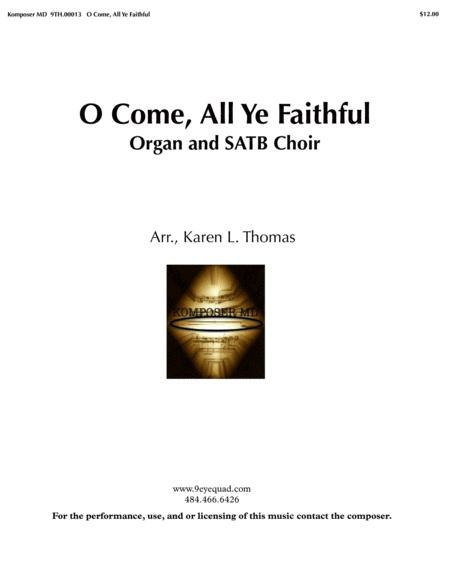 This is an arrangement of "O Come, All Ye Faithful" for organ and SATB Chorus. For performance, use, and or licensing of this music contact the composer. http://komposermd.musicaneo.com admin@9eyequad.com 484.466.6426.